We are super excited to enter a new phase in the growth of become Recruitment as we begin 2019 by expanding our business opportunities into New Zealand. With a new office in Auckland, we are connecting great candidates with top businesses in the area and showing the city what we can offer as an established and growing creative and digital recruitment agency. In bringing our skills and expertise to this new geographical region, we anticipate great success for the year ahead. So, why did we choose Auckland? Besides the obvious close proximity to our well established Australia offices, there are many other benefits that Auckland has to offer; the city’s thriving cosmopolitan atmosphere is juxtaposed by the charming and relaxed seaside community. Consistently ranking within the World 10 Top of cities to live and work, the quality of life in Auckland is well proven. The so called “City of Sails” is also called home by a staggering 33% of New Zealand’s population, making it the country’s largest city. Even more vital for ourselves, as a creative and digital agency, of all people employed in the creative sector of New Zealand, around half are based in Auckland. 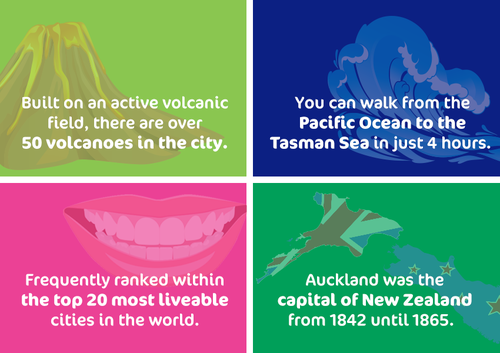 Did you know these fun facts about Auckland? Register with become to start the journey to your dream job whether that be in Auckland, Melbourne or further afield in Sydney, the UK or Hong Kong. Alternatively, you can directly contact Jane Simich.